So, to learn this trick, first you are going to need to know how to do Ninja Vanish. If you do not know that already, we have a video that you can go check out. Also, you need to know the trick Eiffel Tower. 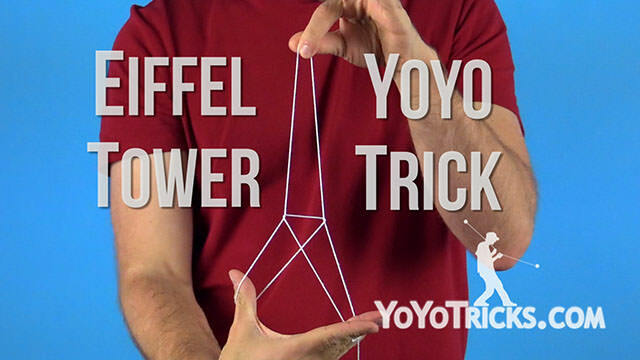 The first step of this trick is the first step of Eiffel Tower. So what you need to do is throw it out in front of you, and bring your fingers from your non throwhand up into the string. So, what you are going to do is your throwhand palm up, you are going to grab the string halfway. From here, you are going to turn your hands to where they are equally the same height, and where the double strings are parallel to the ground. So the next step to this trick is you are going to pinch with your throwhand thumb. 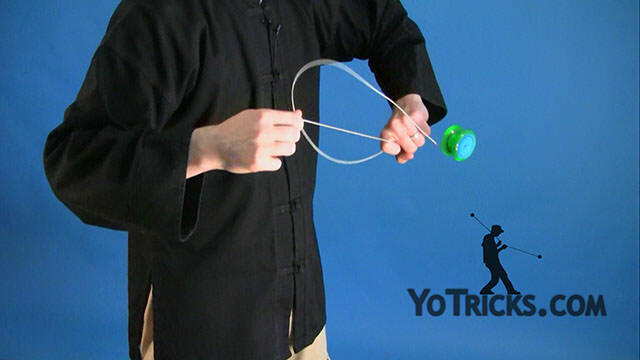 You are going to swing the yoyo forward by performing a ninja vanish, but whipping over the double strings. 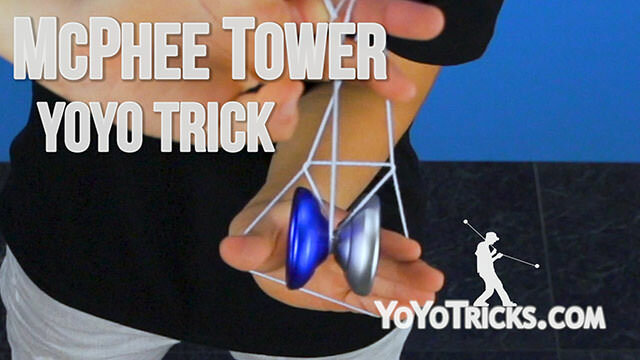 The next step to this trick is with your non throwhand you are going to open up the strings and bring it behind the yoyo. And behold, the McPhee Tower. All that you have to do to dismount is drop with your non throwhand, and bind. 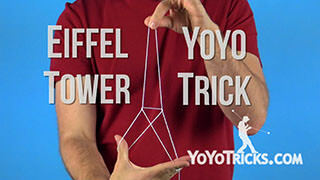 And if you are having trouble with this trick, here are a few tips. Try shortening the double string for there to be more slack. Then next, you pinch with your thumb harder for there to be more control over the whip. There you have it, the McPhee Tower.